Too often, mar­keters will design their mar­ket­ing cam­paigns — whether online or by direct mail — and cross their fin­gers that in time, response rates will go up. There’s no need to cross your fin­gers any­more. Mar­keters can count on response rates going up when they take advan­tage of the per­son­al­iza­tion tac­tics that have been shown time and time again to boost engage­ment. Take a look at these eight effec­tive ways to boost your response rates through the use of per­son­al­ized mar­ket­ing strate­gies. It seems so sim­ple: Use your cus­tomers’ first names to get them to respond. But it works. With the right cus­tomer data, this can be done in email sub­ject lines or open­ers, direct mail pieces, and more. Yes, it’s sim­ple. But are you doing it? Includ­ing a first name isn’t the only choice avail­able when try­ing to grab a customer’s atten­tion. Dig into brows­ing data to intrigue them. For instance, if a cus­tomer has been brows­ing boots on a cloth­ing site (but ignor­ing shirts, jew­el­ry, and sneak­ers), try a sub­ject line that invites them to “Check out these brand-new boots for cozy toes this win­ter.” Accord­ing to a recent study, per­son­al­ized sub­ject lines enjoy 58% high­er click-to-open rates than those with­out per­son­al­iza­tion. 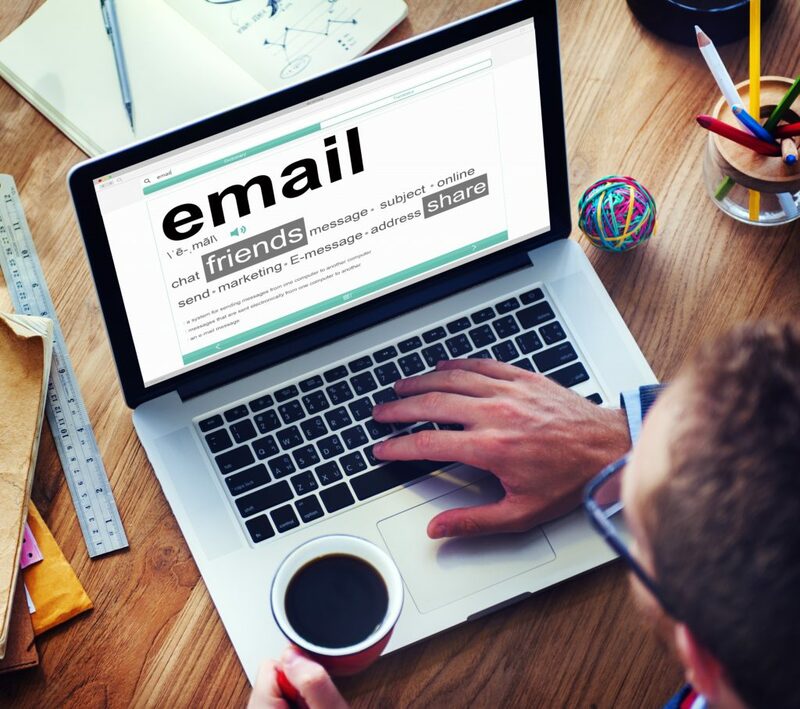 Con­sumers are get­ting used to receiv­ing per­son­al­ly addressed mar­ket­ing emails. But how often do they get an email from, say, the head of the com­pa­ny? When you per­son­al­ize who the email is from, it cre­ates an oppor­tu­ni­ty to build a true con­nec­tion between the cus­tomer and brand. When tak­ing this approach, also con­sid­er adding a per­son­al­ized touch with­in the email so it is more like­ly to be per­ceived as gen­uine. While most mar­ket­ing cam­paigns focus on dig­i­tal media these days, there’s a lot to be said for the effect of a phys­i­cal, tan­gi­ble item that con­nects per­son­al­ly to a cus­tomer, espe­cial­ly if you’re pro­mot­ing an upscale brand or prod­uct. In fact, data from the Data & Mar­ket­ing Asso­ci­a­tion (DMA) shows per­son­al­ized direct mail cam­paigns can increase ROI between 3X to 10X. New tech­nolo­gies, such as vari­able data print­ing, allow brands to print per­son­al­ized direct mail pieces at scale. Mag­a­zines, for exam­ple, can deliv­er a far greater ROI on adver­tis­ing spends than either dig­i­tal video or mobile ads — as the details of this inno­v­a­tive cam­paign show. Your response rates will rise and fall based on the per­son­al­ized, tar­get­ed nature of the con­tent your cus­tomers read when they open your email or direct mail piece. If your cus­tomer sees noth­ing they can relate to, or if they feel as if they were sent a piece of copied-and-past­ed spam, they’ll ignore it. A sim­ple way to per­son­al­ize con­tent is with geo-tar­get­ed mes­sag­ing. If the con­tent makes a cus­tomer feel as if they are under­stood and your brand can there­fore meet their needs, you will great­ly increase the chance of them becom­ing and stay­ing a cus­tomer. With dynam­ic con­tent, brands can send a mass email, poten­tial­ly to thou­sands of cus­tomers, with one or more pieces of the email tai­lored to a customer’s inter­ests. This can be done with var­i­ous data points based on behav­ior or demo­graph­ics. For exam­ple, meal deliv­ery ser­vice Post­mates sends out reg­u­lar emails to its users telling them what peo­ple in their area are order­ing for lunch — which high­lights their local choic­es while remind­ing them of the ser­vice avail­able with only a click. When cus­tomers con­vert on a web­site, whether it’s via a pur­chase or online form, and come back for repeat vis­its, you col­lect plen­ty of trans­ac­tion­al and brows­ing data that can be used in per­son­al­ized mar­ket­ing cam­paigns. A few of these tac­tics include uti­liz­ing rec­om­men­da­tion engines to sug­gest prod­ucts relat­ed to pre­vi­ous con­ver­sions (“You might also like…”), send emails when prices drop on prod­ucts they’ve pur­chased before, or send coupons in the mail for fre­quent pur­chas­es. Do you have a rewards pro­gram in place? You don’t have to be a mega-cor­po­ra­tion with thou­sands of out­lets to take advan­tage of this use­ful tech­nique to build cus­tomer loy­al­ty. When you track reward point accu­mu­la­tion dig­i­tal­ly, you can send per­son­al­ized reminders (“Only one more cof­fee, and you’ve earned a free pas­try!”) or offer a free birth­day gift to remind cus­tomers that you’re think­ing of them. The more per­son­al­iza­tion tech­niques you put to use in your direct mail and email cam­paigns, the greater the boost you’re like­ly to see in cus­tomer response. Try mak­ing small changes at first, with an eye on your met­rics to see what’s work­ing best, and don’t be sur­prised to see your num­bers improv­ing. 8 Mar­ket­ing Steps to Prep for a Big 2014!